How Hard Is It To Get Cash For Gold in MA? Customers call and come into Empire Loan’s 8 locations in Massachusetts and Rhode Island and want to know how difficult it is to get cash for gold. The answer is, it’s not! You only need two things: a valid ID and something of value. That’s it. No forms to fill out. No waiting for approvals. You don’t even have to deal with cashing a check. If you have a valid ID and something of value, you could be walking out with cash in as little as 5 minutes. Step 2: Show the pawn broker your merchandise and ID. Step 3: Find out how much your merchandise is worth and agree on how much you want and what we can offer you. Step 4: Sign the loan agreement with a description of the items and have your picture taken. Step 5: Get your cash and go on your merry way. That’s it! Empire Loan will lend you money based on the value of your merchandise, from gold and diamond jewelry, electronics (laptops, tablets, flat screen TV’s, smart phones, digital cameras, etc. ), musical instruments, tools, anything with a solid resale value and market. Your Empire Loan pawn broker will be able to tell you how much they can offer you, even explaining how they came up with that amount. Their job is to make sure you understand how they arrived at that figure. Before you agree to anything or sign any agreements they are always happy to explain everything to you in easy to understand terms. How difficult is it to get the cash you need at Empire Loan? It’s not! Just like we say in our ads: It’s That Easy! Dashing For Cash? Get Cash For Gold, Boston! Dashing For Cash? Get Cash For Gold Boston! Boston is in the midst of the holiday season. Presents to buy, parties to host and attend, travel plans to make and everything else that comes with getting ready for the winter. The one common question in all of this is: How the heck am I going to pay for it? Let Empire Loan help you by giving you cash for gold you no longer want or need. That’s where the mad dash to Empire Loan with your gold could be the golden ticket! 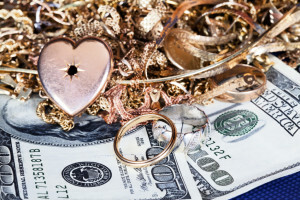 Whether you have old scrap gold that is broken, crushed, knotted, loose earrings or just plain ugly pieces laying around, Empire Loan can turn it into instant cash with a loan or a buy. If you have treasured pieces; sentimental keepsakes, your favorite necklace, bracelet or ring, Empire Loan can give you a cash loan and you don’t have to sell your stuff! Sell it. If you’ve had broken jewelry, loose earrings and bad memories sitting in your junk drawer, bring it into any of Empire Loan’s 8 locations (Boston, Providence, New Bedford, Worcester, Stoughton, Lowell or Lynn) and Empire will pay you cash on the spot. The friendly staff at Empire will test it and weigh it right in front of you and pay you cash based on the spot market price of gold at that very moment. 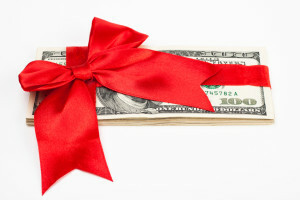 No stress or strain, just the cash to get you through the holidays with no strings attached. That charm bracelet from the ex-boyfriend? Cash! The loose earring that you always thought you would find the match to? Cash! Broken chains, dented rings that are missing stones and anything else that is made of gold but is completely useless to you, sell it to Empire for Cash! Pawn it! A pawn is a loan where you bring in your treasured valuables and get a 3 or 4 month loan based on the value of the merchandise. The whole time it’s there, Empire stores your merchandise in their secure vaults until you repay the loan and come back to get your items. It’s that simple. You bring in your chains, bracelets, earrings, even your wedding ring and Empire Loan will test it, weigh it and tell you right then and there, how much they can lend you on it. You walk out with cash, secure in the knowledge that for 30 years, Empire Loan has been lending people money based on the value of their merchandise. As a matter of fact, 90% of Empire Loan pawn customers get their valuables back. In the meantime, you’ve turned your gold into holiday cash. Need holiday cash? Let Empire Loan show you how you can do it safely and confidently! Empire Loan: Premier Pawn Shop in Worcester for 15 Years. In 1985, Empire Loan opened their first pawn shop in Boston’s South End. Through 30 years of growth, Empire Loan in Worcester has been one of the true shining stars among pawn shops in Worcester celebrating their own 15 years anniversary this year. Having moved a few years back to their new 700 Southbridge St. location in College Square Plaza just down the street from Holy Cross College, diagonally across from Rotmans Furniture and right next door Wendy’s, Empire chose this location to be in the heart of Worcester among these other legendary institutions. In the 15 years that Empire Loan has been open in Worcester they have grown to become a market leader among pawn shops in Worcester, having done loans on items ranging from horse saddles to a set of 24” truck tires, a Stanley Cup ring and even remote control boats and cars. “Gold and diamond jewelry is still the number one item customers sell or get loans on, but all of these other items are fun for us too” said Brian Johnstone, longtime manager of Empire Loan’s Worcester pawn shop. “We’ve done loans on the original Atari and Nintendo game systems as well as brand new iRobot vacuums and floor cleaners. You never know what’s going to walk in the door”. 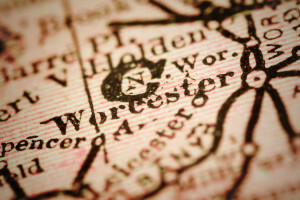 What makes Empire Loan in Worcester stand out among pawn shops in the Worcester area is the customer service and professionalism of the staff. Brian has been with Empire since 1995 and Assistant Manager Julio Fundora is a 3rd generation pawn broker having grown up in the family business in Florida. They along with the rest of the staff take pride in helping customers get the cash they need and will always take the time to explain the whole process from beginning to end. One look at what customers have to say about the store and it’s clear that Empire Loan in Worcester is a shining star among pawn shops in the Worcester area.